As teachers become more pressed for class time, the value of a simple tool for managing stress, increasing focus, and being physically active, increases. Five Minute Yoga Breaks can help you achieve these goals. We have CDs for regular and special needs classrooms, afterschool programs, and Physical Education and Health classes. GreenTREE has designed a program for grades K-5 and Special Needs. 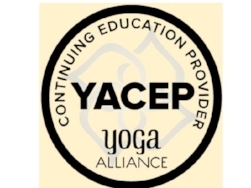 Builds yoga into existing school programs: classroom time, afterschool programs, or Physical Education or Health classes. CLICK HERE to enjoy free tracks or to purchase. GreenTREE Programs Meet National PE Core Curriculum Standards (K-12). No yoga mats needed. You don't have to move furniture, clean off the desks, or take off shoes! Just take a break. And be confident your program will be successful. Instructions on how to keep the program going by having teams of older students from these classes, acting as the volunteers, then do the yoga breaks with younger classes. *Ask a local business to sponsor the program. It's tax-deductible.